been so happy you cried… felt awkward and embarrassed… regretted not saying something… found unexpected joy helping others… learned a profound lesson from a child… had a near death experience… lost someone you love… ME TOO! 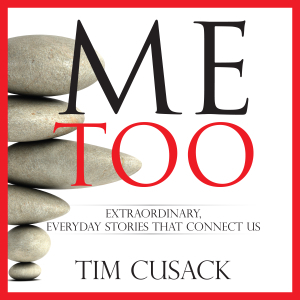 Purchase your print or audiobook copy here. The book is also available on AMAZON and iTunes. 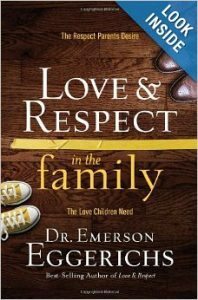 “When frustrated with an unresponsive child, a parent doesn’t declare, “You don’t love me.” Instead the parent asserts, “You are being disrespectful right now.” A parent needs to feel respected, especially during conflicts. 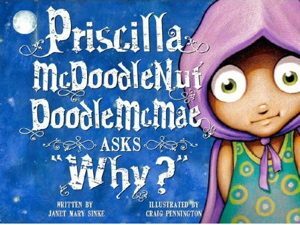 When upset a child does not whine, “You don’t respect me.” Instead, a child pouts, “You don’t love me.” A child needs to feel loved, especially during disputes. 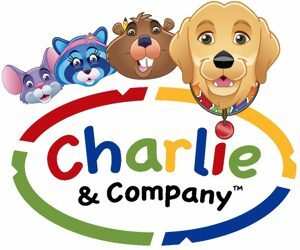 OCTOBER 2013 – Sound Post provided the audio post production, mixing, and sound design for the new ‘Charlie & Company’ video series produced by the School Zone Company. 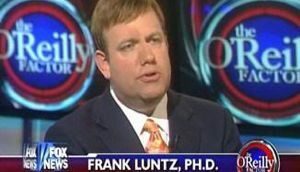 SEPTEMBER 2013 – Sound Post hosted political pollster and Fox News contributor Frank Luntz for a podcast series recording. You can find great interviews on YouTube with Frank Luntz holding his own with interrogators Stephen Colbert, Bill O’Reilly, and Bill Maher. AUGUST 2013 – Final stereo and surround mixing completed at Sound Post for the indie feature ‘America’s Most Haunted‘ starring James Karen, Brittany Risner, Brad Norman, Jimmy Meritt, Daniel Falicki, Dave Lyzenga, Joe Anderson, Evan Koons, Amy McFadden, and more. The movie will premiere Oct 26, 2013 at the Wealthy Theatre in Grand Rapids, MI. 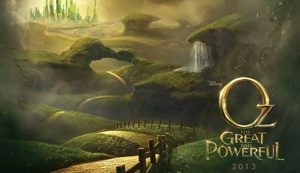 The music score for this film was composed by Sound Post favorite (and Stuart’s brother) Greg Poltrock. JULY 2013 – Final mixing at Sound Post for the indie feature horror film ‘Beautiful Prison‘ with director Joel Vallie. Filmed in Mexico and Michigan and soon to be in distribution, this film is a crafty mashup blend of Telenovella, family drama, and zombies. The film will premiere Nov 1, 2013 at the Urban Institute of Contemporary Arts (UICA) in Grand Rapids, MI and will be followed by a screening in Saltillo, Mexico. 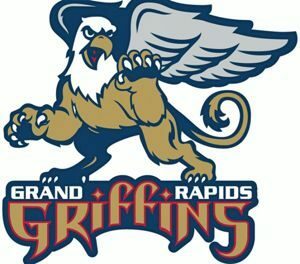 JUNE 2013 – Congratulations to The Grand Rapids Griffins, 2013 Calder Cup National Champions! Sound Post has been working with and for the GRIFFS since their 1996 opening season. JUNE 2013 – Sound Post works with Baas Creative on this campaign to encourage generousity. 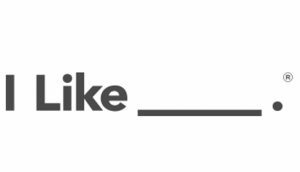 iLikeGiving.com. “This is a campaign for a generous world because we believe a generous world is a better world for all of us. But we don’t want your money, we want your action. Live generously” – try it. 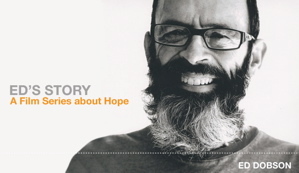 MAY 2013 – At Sound Post we continue to provide the audio production for Ed’s Story, a powerful film series about hope, featuring Ed Dobson. Diagnosed with ALS and given a short time to live, in these films Ed wrestles with issues suffering raises: worry, identity, forgiveness, gratitude, and healing. Emerging from it all is his discovery that there is always hope. 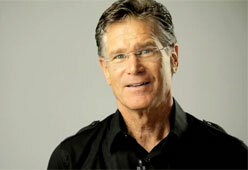 Ed holds an earned doctorate from the University of Virginia, was named ‘Pastor of the Year’ by Moody Bible Institute, and is author of numerous books, including Prayers and Promises When Facing a Life-Threatening Illness, The Year of Living Like Jesus, andSeeing Through The Fog: Hope When Your World Falls Apart. Ed serves as an advisory editor for Christianity Today. 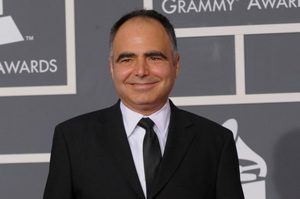 2009 – Grammy Nominated for Best Enginner and twice for best album. See the full list. We hope to be seeing Helik at Sound Post again in the near future. Fall 2012 – Sound Post works with the Flannel Company in the production of the True Beauty films series featuring Lisa Chan. Lisa is a mother of five and co-founder (with her husband, Francis) of Cornerstone Community Church in Simi Valley, California. Each film in the series weaves Lisa’s teaching with another woman’s story of discovery. Rich in Scripture and practical application, these unique films point you to the freeing discovery that true beauty lies in the heart. October 2012 – Sound Post worked with FULVEW Productions to provide the sound design, music score, and mix of indie feature film America’s Most Haunted starring James Karen, Brad Norman, and Brittany Risner. The film’s score is composed by Greg Poltrock. 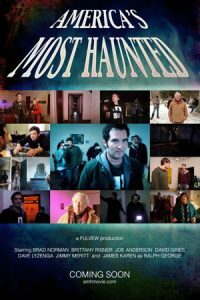 This is the fictional story of the ghost-hunting TV show “America’s Most Haunted.” The AMH crew is not just trying to communicate with spirits, their plan is to kick them out. Their methods may be questionable and their “proof” may not hold up to careful scrutiny, but their loyal audience loves the show – and they keep getting paid by their sponsors. 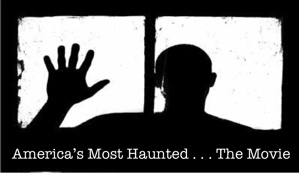 In this episode, the AMH crew comes across something new … a place that is actually haunted. America’s Most Haunted is a horror/comedy that’s funnier than “Ghostbusters” and scarier than “Poltergeist” which all adds up to a good time in the theater! 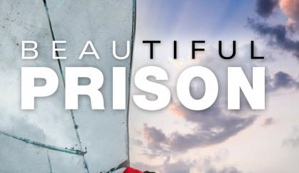 September 2012 – Sound Post worked with Gorilla Pictures and director Joel Vallie on the sound design and mix of Beautiful Prison starring Kristen Barrett, Kaelin Stockwell, and Latin-American heartthrob Ernesto D’Alessio. Filmed in Saltillo Mexico and Manistee Michigan, Beautiful Prison is a heavily stylized, genre-blending narrative about a brain-damaged man who, after a violent accident, awakens with a restored intellect and a supernatural ability to control the happenings of his world. Beautiful Prison is a Latin story of love … a story of passion, redemption, family, coma, and zombies. 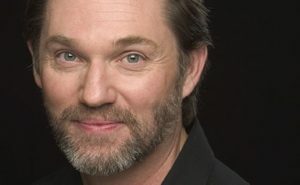 September 2012 – We continue to provide the voice recording of actor Kevin Yon for Chrysler TV and radio North America and the UK working with agencies Weiden+Kennedy, WB Doner, and Universal McCann. 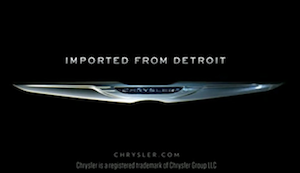 When you hear the unique voice of Chrysler coming from your TV and radio, know it was recorded in Sound Post’s Studio B.
August 2012 – Sound Post was the host to Grammy-Award Winning artist Wanya Morris from the group Boyz ii Men. Wanya came to Sound Post for a late-night vocal recording session for his upcoming album and the next day performed with Boyz ii Men for a packed performance at ‘Rock The Rapids.’ Wanya has influenced contemporary pop stars such as Ne-Yo and many more. 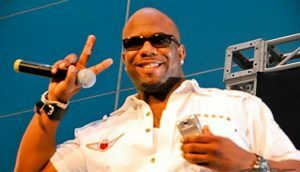 He has powerful vocals with a very high range and sang most of Boyz II Men bridges and including duets with former girlfriend Brandy Norwood, and Mariah Carey. Boyz ii Men is the most successful R&B group of all time, having sold more than 60 million albums worldwide. 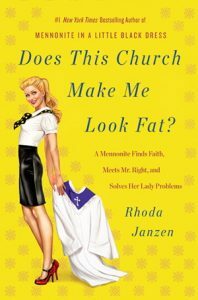 June 2012 – #1 NYT Bestselling author Rhoda Janzen recorded her new audiobook Does This Church Make Me Look Fat? in Sound Post’s Studio B! What does it mean to give church a try when you haven’t really tried since you were twelve? At the end of her bestselling memoir Mennonite in a Little Black Dress, Rhoda Janzen had reconnected with her family and her roots, though her future felt uncertain. But when she starts dating a churchgoer, this skeptic begins a surprising journey to faith and love. Rhoda Janzen, #1 NYT Bestselling Author. 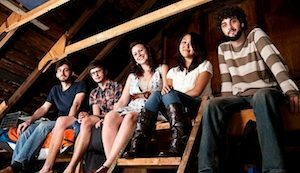 May 2012 – The award-winning Crane Wives are nearing the completion of their next album produced at Sound Post. 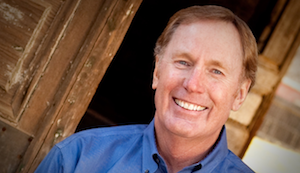 April 2012 – Sound Post produced the music and sound design for Zondervan’s children’s audiobible ‘The Story for Children’ read by Max Lucado. The original music was written & produced by Sound Post owner Stuart Poltrock and brother Greg Poltrock. 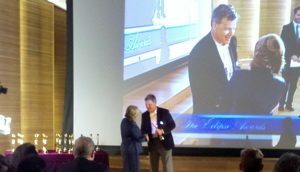 •Silver Addy to Ken Schmidt Productions for the 2011 video done for National Heritage Academies. •Gold Addy to Ken Schmidt Productions for local TV “Handy Man” done for Metro Health. 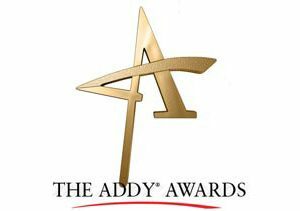 •Gold Addy to DDM Marketing and Communications for National TV for Spectrum Health-Helen DeVos Children’s Hospital. A diligent patriot his entire life, Frank Woodruff Buckles served his nation for eleven decades.